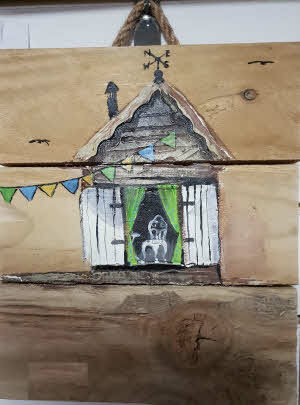 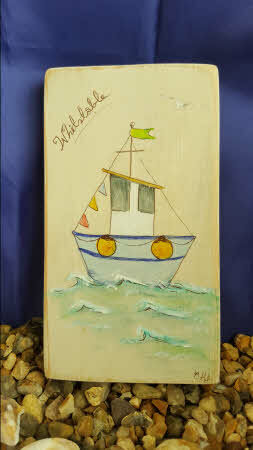 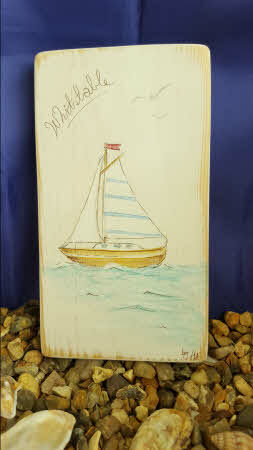 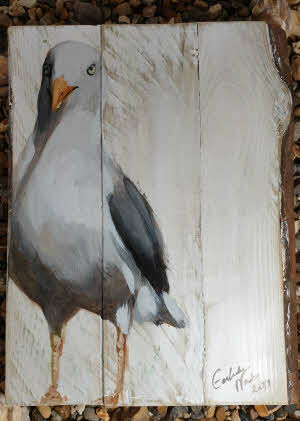 Great original paintings by Kent Artist Gertrude Nahn on either Board, Canvas or Wood. 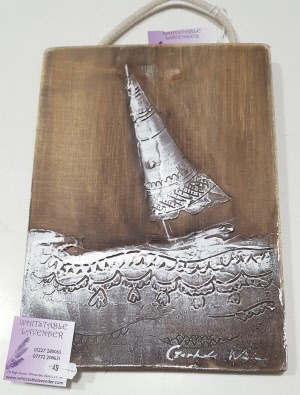 Sold on-line and in the Whitstable Lavender shop at 7A High Street, Whitstable, Kent which is open from 10am till 5.00pm seven days a week. 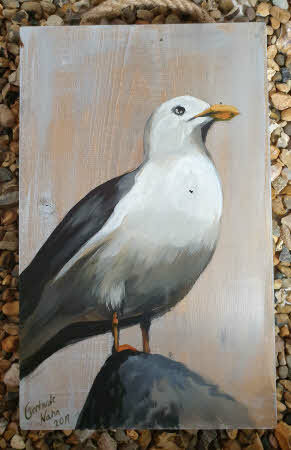 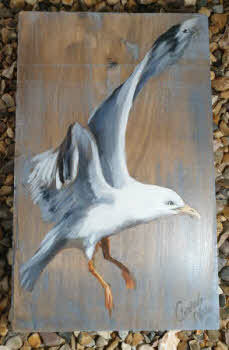 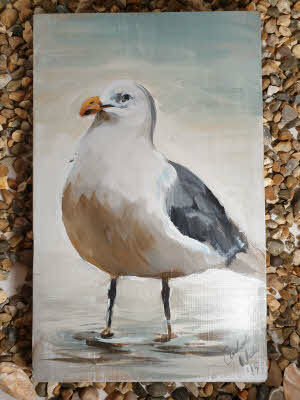 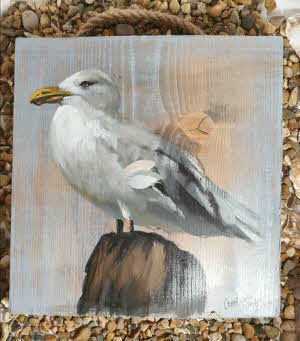 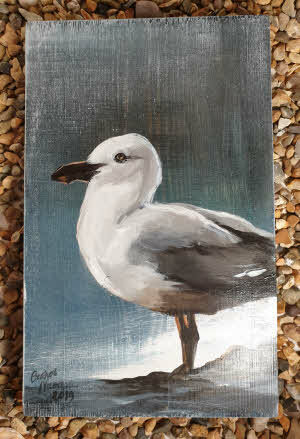 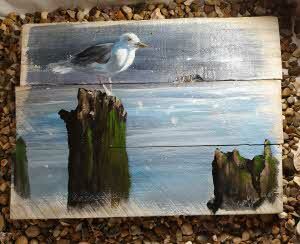 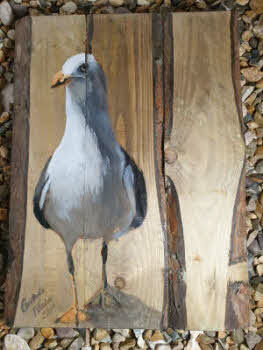 Original Artwork No.112 by Gertrude Nahn- Seagull on Groyne - painting on wood with rope hanger. 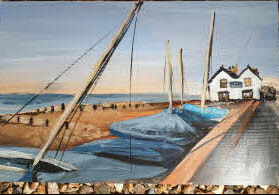 Original Artwork No.119 by Gertrude Nahn- Neptune Pub on the West Beach, Whitstable with covered boats.